Happy 21st Anniversary to me and DH! Child #4 (7 years old) had me sign this before she went to bed last night. So, we all know what subject I'll be tackling after school today. Is there really a Santa Claus? Yikes. It was tricky, but I managed to skate through Christmas without having THE talk. I'm guessing that pesky, hopped-up-on-sugar Easter Bunny has stirred this particular pot again. Drat. I'm not ready to let go of my last Santa believer. Motherhood is so not for sissies. 1. For our anniversary DH and I went out for Cajun salmon. BUT on the weekend, we're going for sushi. And that means everybody's happy. Thank you for all the well wishes. 2. Last time I went to The Whaley House, I was the one and only person there. But, I did NOT see a ghost. Probably they were all out shopping. There's some very fun shopping in Old Town. 3. I do not homeschool. I'm not smart enough. 4. Katie Couric (the fake one) will be back to pull off a brilliant interview with Liz Gallagher, author of The Opposite Of Invisible. And....I have an ARC to give away. (Or keep for myself) When? I have to check with Liz. 5. Our dog, a toy poodle, eats baby food for his dinner. Turkey + rice. For the absolute first time ever, one of our veiled chameleons ate a wax worm!!! Yay! Yes, it was the female. That same bossy female who outweighs the male and hisses at him when he comes to munch gut-loaded crickets from the tupperware container in their cage. Gut-loaded crickets? That's when you feed the crickets good healthy food like apples and carrots. Because whatever they eat ends up nourishing the chameleons. It's all that food-chain stuff you learned in science. What's the big deal about wax worms? They last way, way longer than crickets. You can keep wax worms FOR A MONTH in the fridge where they stop wriggling and go dormant. Then you pull some out, let them warm to room temp and pop them, all moving and squirming, into the chameleons' cage. And what do those of us in the know call veiled chameleons? Veileds. Why am I giving you all this interesting trivia? So that you will be a hugely fascinating and popular hit at your next cocktail party! Any pets at your place? The Whaley House, located in historic Old Town San Diego, is THE most haunted house in California. Quite possibly in the whole USA. In 1964, Regis Philbin and a friend tried to spend the night in the Whaley House. They were so spooked by the ghost of Anna Whaley, who appeared in the form of a ball of light, that they bolted in the dead of night. Granted, Regis doesn't have a huge rep for courage, but even the US Department of Commerce agrees the house is haunted. The Whaley House is a two-story brick building built in 1857 by Thomas Whaley, a businessman. Before its construction, guess what was located on the grounds? The town gallows. Now, you don't have to be a ghost hunter to guess you're probably going to run into some paranormal problems in this location. Sure enough, Yankee Jim Robinson, hanged from the gallows on the back of a wagon in 1852 for theft, haunts the Whaley House with heavy footsteps. Other ghosts you might hook up with during your visit include: Thomas Whaley (usually on the upper landing), his wife (in the downstairs room or in the garden), a woman in a long full skirt, a redheaded girl between 9 and 13 years old (in the kitchen), a spotted fox terrier. Plus, there's an overall sense of being watched. And the smells of cigar smoke and lavender perfume. Not to mention the sounds of singing, giggling, a baby crying. I've been to the Whaley House several times. It's a great little museum. Slightly more expensive to visit in the evening. You can wander through at your leisure and see the various furnished sections of the house, including the courtroom and theatre. I love Old Town in general. So, if you're here and at the Whaley House, give me a shout. We could always meet for Mexican. Is the Whaley House in I So Don't Do Mysteries? Yes. Because it's the perfect place for Sherry's mother (a ghost) to stay when she comes to San Diego. And, thanks to Travis Erwin for coming up with Home Town Monday. He has a fun post today on Amarillo, TX. I can't believe I figured out how to scan in a pic from my wedding album! I can't believe I look EXACTLY the same today! I can't believe that bolt of lightening is already zinging right for my little wrinkly forehead! 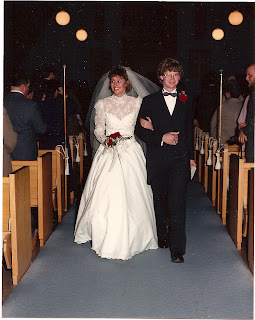 I realized at noon that today's my wedding anniversary! It's a huge old record for me. This is the only thing in my entire life that I've done for 21 years straight. Except maybe breathe. Usually my mother-in-law calls to remind us. But she'd forgotten. I called Darling Husband (DH) at work. He'd forgotten. The rule is whoever remembers first gets to choose the restaurant. Hmmmm..... I still haven't made my mind up. Sushi or Cajun salmon? At the 60th Annual Academy Awards, best picture went to The Last Emperor. This year (and at least we're having the Awards), it'll be Atonement or Juno or Michael Clayton or No Country for Old Men or There Will Be Blood. So, Happy 21st Anniversary to me and DH!! Sushi or Cajun salmon? Cajun salmon or sushi? And I still LOVE that dress! Once again, the UPS man snuck up to my front door and tossed a big fat envelope from Delacorte Press, Random House, then vamoosed. Inside were TEN (I was only expecting five, so yay!) very beautiful Advance Reader Copies (ARCs or Bound Galleys as Random House calls them) of I So Don't Do Mysteries. This version of the book goes to reviewers and, uh, wherever else Delacorte Press decides to send it. It gives reviewers a chance to read the book pre-launch and write very very loving and terrific things about it and drum up all kinds of positive advance publicity. It's very cool, albeit a little scary, to see my story in book form. 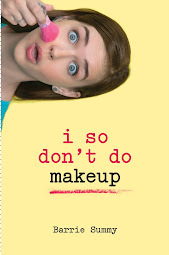 The ARCs are paperback (the book will actually be released in hardback) and don't have the fancy schmancy glossy cover. The content of the ARCs isn't identical to that of the finished polished version. But, still, it's my story. And it's a book. YAY tinged with a little bit of yikes. Here, Chez Summy, we have built a little altar with them in the living room. Darling Husband (DH) stole one and took it to work. I think this definitely falls under the heading of Willful Misconduct with an ARC. Or maybe under Proud Husband. p.s. I just noticed I'm missing another copy from the shrine. Are these things sprouting legs and jogging to DH's office??? p.p.s. You have to admit the candle is a nice shriney touch. I really enjoyed playing Katie Couric. Perhaps a little much! I may dress up as Katie Couric for Halloween. I've been a pirate for the last three years, and it's time for a change anyway. Maybe I could talk hubby into going as Matt Lauer. When it came right down to it, Child #4, not Eileen Cook, chose the winning commenter for a copy of the very well written, very funny, very why-isn't-it-longer UNPREDICTABLE. I could've predicted (ha, ha!) that Eileen would cave on the who-gets-to-choose thing. First off, Child #4 can tap dance, and Eileen, um, really can't. Sorry, Eileen, but it was bound to come out at some point. Ahem. Back to Eileen Cook, Debut Author Extraordinaire. For those of you who didn't win, thank you for participating. Now, just go buy the book. You'll feel better; Eileen'll feel better; I feel better. It's a win-win-win situation. I promise I will get all the books I owe into the mail this week. Thus fulfilling New Year's Resolution #5. Oh, yeah, I keep forgetting to do this. 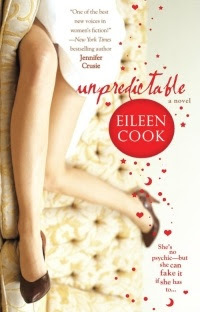 Here's the link to the first chapter of Eileen Cook's UNPREDICTABLE. I'm a Katie Couric wannabe. She has great hair. She's smart. She's famous. And everybody loves her. Thanks to Eileen Cook, author of UNPREDICTABLE, who has good-naturedly agreed to answer a bunch of inane questions, today is my Couric day. Oh wait, a short commercial before we start. If you want the chance to win a copy of Eileen's brand new ultra hilarious romantic comedy, UNPREDICTABLE, (and who wouldn't? ), comment on today's or yesterday's post on this blog or on today's or yesterday's post on Eileen's blog or, for double the chance to win, on BOTH blogs. Alright then, freebie book business out of the way, let's go straight to the interview extraordinaire. Do you outline before starting a book? I'm a fly by the seat of my pants writer who secretly wishes she was a plotter. I have plotter envy- it goes well with my office supply fetish. I love the idea of binders with color-coded tabs and Post it Note flags. Instead I practice the time-honored tradition on beating my head on the desk until the story falls out. I am attempting to do more outlining, but it remains to be seen if these outlines provide me with a map or just a nice reminder of where I thought the book would go back before the head beating began. I’ve met writers that do detailed 100 pages plus outlines with binders for all the main characters and writers who start with Chapter One and see where the story goes from there. I saw John Irving (author of A Prayer for Owen Meany) speak and he likes to write by starting with the end and working backwards. Sometimes new writers want to know “what works” and it is a tricky answer as what works for one person will completely block another. You have to find your own way into your story. Are you part of a critique group? I used to belong to a writer’s group that met on a monthly. Eventually due to people’s schedule the group disbanded. I now belong to an online writer’s critique group where we post scenes. I also use a group of early readers made up of both writers and readers to critique my draft. When I have a manuscript ready to go I pass it out to all of them and collect their comments before heading into the final revision stage. In addition to getting feedback, I think it is important for writers to give feedback. It can sometimes be easier to pick apart someone else’s writing, looking at what works and what doesn’t work because you aren’t involved in the story. Once you can see it in someone else’s writing it is easier to look at your own and see if you are guilty of the same mistakes. If you don’t have a regular group of writers that you meet with I often suggest people pick a favorite book and a book they disliked and go chapter by chapter looking at what happens in each scene, what’s the conflict, if they liked it why, if they didn’t why? I have them highlight lines that they liked or places where they felt the story was dragging. One thing that excites me about writing is how much there is to learn. No matter how long you’ve been writing there is always a way to improve. I’m a bit geeky this way. You are absolutely hilarious. Were you the class clown? My parents are both funny so it may be genetic. Growing up I was mortified at my parent’s jokes and I’m pretty sure during my teen years I tried to ban them from talking at all when my friends were around. I was a bit too shy to be the class clown, but I’m pretty sure my close friends saw me as the clown type. I’ve always tended to see things from a different angle that tends towards the humorous. So, how'd you land Rachel Vater as your agent? While writing Unpredictable I picked up a copy of Writer’s Digest that happened to have an interview with Rachel. I don’t recall what she said, but I remember thinking “she’s perfect for me!” I stuck the article on my bulletin board (complete with her picture) and whenever I found myself blocked I would remind myself that this fabulous agent was waiting for my masterpiece even though we had never communicated. Inside my head we were already a mean, lean writing team. 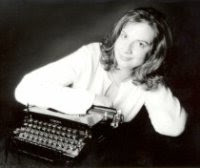 I knew I wanted an agent I could connect with and who would take a career building approach to my writing. When I finished the book I sent off a query to Rachel. I was prepared to send it out to a long list of agents if needed, but she was my top choice. People are sometimes surprised when I tell them that I didn’t have any connections or family in the business. I was a slush pile find. I can’t imagine going through the publishing process without a strong agent in your corner and Rachel has been the perfect business partner for me. I recently signed a contract with Simon Pulse (Simon and Schuster) and am really excited to be working on some young adult novels. 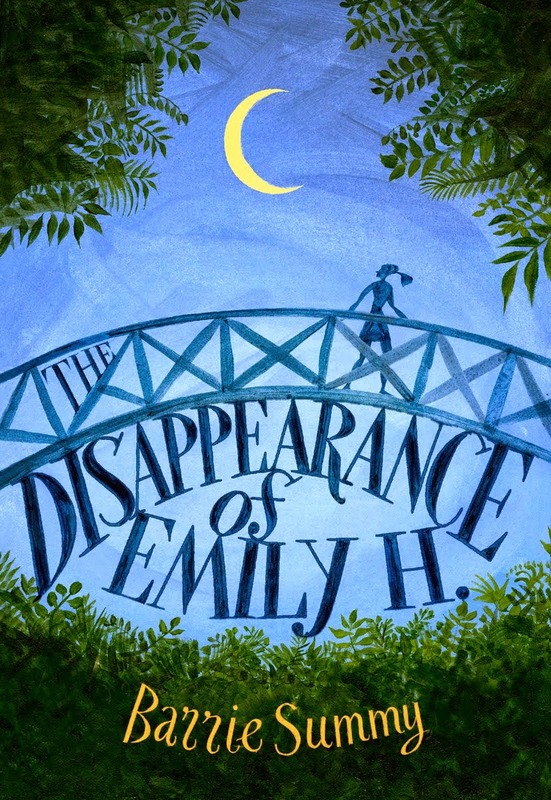 I always loved reading and in the past couple years have started to read all the great stuff coming out these days in the young adult and middle grade market. I love Meg Cabot and would run away in a heartbeat to be her personal assistant if she would have me. The other area that I’ve tried out recently is writing screenplays. I’ve always been a huge movie buff and when Unpredictable was optioned by New Line I wanted a chance to write the script. For some reason the studio didn’t want someone who had never written a script before to do the job- go figure. I took some classes and am really interested in how the format is so different than novels. Scripts have to be much tighter as you typically only have 90-120 pages and the story has to be told in all action and dialog. I can pick just one favorite? Of course I am coming off the post Christmas cookie butter and sugar hangover where I made all the cookies that you never make any other time of the year. If had to pick one favorite I would go with the traditional standby of chocolate chip. I add a touch a cinnamon in mine as the secret ingredient. Shhh don’t tell anyone. Happy Valentine's Day, Eileen! We wish you loads of Belgium chocolate (yes, we know you love it), wheelbarrows full of chocolate chip cookies and, most of all, great big humungous book sales! The one and only....Eileen Cook!! Eileen's debut novel, UNPREDICTABLE, launched only last week and is already climbing Barnes & Nobles' Trade Paperback Romance Bestseller List! Sophie Kintock isn't crazy, she just wants her guy back. And posing as a psychic to give his new girlfriend a face reading designed to break them up isn't going overboard, is it? Don't answer that. This book is getting great reviews. It'll have you laughing till you're crying or snorting. And, let's face it, life is tough enough these days. Many of you (not me because I live in sunny So Cal!) are dealing with the cold harsh snowy realities of winter. You know you need a little pick-me-up in your life. We all do. So, trundle off and grab yourself some fun and humor by buying at least one copy of UNPREDICTABLE. For a hugely entertaining treat, hop over to Eileen Cook's blog, Just My Type. While there, you can offer her a flute of cyber bubbly. AND we have a copy of UNPREDICTABLE to give away. So, post a comment here or on Eileen's blog or on BOTH (and we'll count you twice). Eileen and Child #4 can duke it out for who gets to choose the winner! Oh yeah, we'll choose the winner from comments left on our blogs today and tomorrow (Feb. 13 and 14). Child #4 donned her extra-large $4.00 Walmart high heels and chose the following names. Oh wait! There were so many names of wonderful bloggy commenters that we felt bad only choosing two. So, we chose four. Besides, it helps with my decluttering resolution. And, quite frankly, I am not doing well with the New Year's resolutions. This is the first year that I've been so negligent. Anyway, anyway, anyway. Child # 4, with great pomp and circumstance, chose four names. I chose five books. Five, because we don't want the last person not to have a choice. Name #1 gets her/his choice of one of the five books; Name #2 gets his/her choice of one of four books; and so on, down the line. So, shoot me an email at barrieDOTsummyATgmailDOTcom. Congratulations! So, um, how is everyone doing with their New Year's Resolutions? Is it just me, or is this a particularly tough year for keeping them??? I'm posting about my everyday hero (TOTALLY TONGUE IN CHEEK) over at our Class of 2k8's blog! Can I just say it's weird to see your post on somebody else's blog? "Oh, yeah, I wrote that." "Oh, wait. Where am I?" If you have a moment, click over and come see me! I woke up this morning and thought, man oh man, but I better get a post up for my wonderful bloggy friends. And then there was a small thud at my front door. Mr. UPS Man was leaving behind a package from Random House. I wrapped one around a Delacorte Press book (Bras and Broomsticks by Sarah Mlynowski). This is the incredibly adorable shiny front. Excuse the glare which is due to my mediocre photography. I haven't even managed to get the color right. And this is the incredibly adorable shiny back. Blah, blah, blah with my pitiful photography. Inside front flap... This is the color closest to the real McCoy. Unfolded, the cover measures approximately 8.5" X 19.5". DH (Darling Husband--a handy engineer) figured out that it would take roughly 668 dust jackets to wallpaper our living room. This includes covering doors and windows. Of course. I kind of feel like I'm back at the hospital, looking at all the newborns and feeling sorry for the other parents because my baby is by far the cutest. Let's face it. 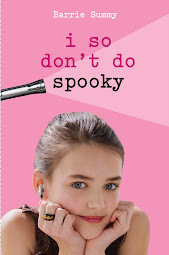 THIS IS ONE CUTE COVER! A wonderful Wednesday to all. p.s. Mr. UPS Man--I'm a little bit in love with you. Even though I've never seen you because you knock on my door, hot-potato-drop the package and scurry off. But you are my Official Bearer of Exciting Publishing Stuff. p.p.s. Child #4 and I haven't forgotten January's drawing. We are getting the (many) names into the Official Blog Bowl. 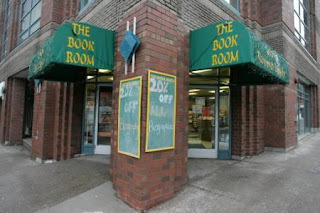 Canada's oldest bookstore, The Book Room, will close its doors at the end of March. The Halifax bookstore has been around for 169 years. Since 1839! So, this bookstore lasted through two world wars and the Depression. Wow. Anyway, I'm scrolling through a few articles about The Book Room and I realize that I, too, am responsible. No, I've never shopped there. I've only been to Halifax once and it was about a million billion years ago. BUT I am guilty of click, click buying books online. And I lurve the Barnes & Noble coupons that arrive in my inbox. And I'm all over those grocery store book sales where you get 3 books for $5 or something ridiculous. I have one sister who stoically sticks by her indie bookstore which I believe is Another Story Bookstore. She refuses to buy books online or at one of the big chains. Flat-out refuses. So, when she gives me a book as a gift, I can feel doubly good. I have a new book to read AND I helped support one of the little guys. So, this is what I'm thinking. What if the next book I buy is from an independent bookstore? And maybe every fifth book after that? What do you guys think? To what extent do our pocketbooks dictate where we buy books? To indie or not to indie?